In his book Infidel Poetics (2009), Daniel Tiffany praises the obscurity of lyric. He begins with the insight that no matter how straightforward a lyric poem might be, the reader tends to experience it as obscure. He traces a genealogy for the English-language poem in the Anglo-Saxon riddle, taking seriously the possibility that “lyric poetry first emerged in English as the enigmatic voice of certain highly wrought objects.” In this account, lyric poems begin as the inscriptions on weapons, crosses, bells, jewelry, sundials, and chess pieces. Separated from their artifacts, inscriptions become riddles. Stephen/Stephanie Burt, in her critical book The Poem is You (2016), remarks that a task “still best fitted to poetry” is to “let us imagine someone else’s interior life.” Poems, she says, “project a voice and embody a compelling or attractive individual consciousness, which we can then hear, or speak, or sing, or try on, or try out, as if it were our own.” One implication of Tiffany’s discussion in Infidel Poetics is that the successful lyric poem – the poem which answers to Burt’s task “still best fitted to poetry” – will be obscure because subjectivity is obscure. Individual consciousness is expressed in language that riddles as much as it communicates. Tiffany points to slang, jargon, and cant, forms of language whose purpose is less communication than showy shibboleth. Such language is not generous or accessible; on the contrary, it exists to exclude. But it is expressive of subjectivity and constitutive of community. protected by what I pretended to be. I once tried to make it so you couldn’t see me at all. And so on. A riddle, writes Ed Hirsch, is “both an interrogative and an expressive form.” Burt’s riddle poems are a kind of open code, allowing the poet to express all sorts of personal things while hiding in plain sight. 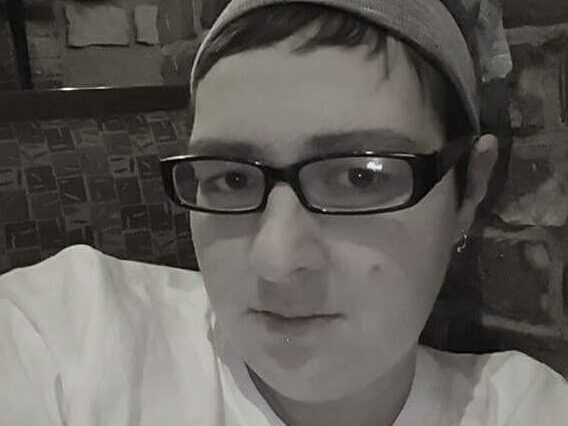 The reader, instead of feeling bludgeoned with subjectivity, is kept busy quizzing out how many ways the poem cuts: how the poem’s voice might apply all at once to a roly-poly bug, a poem on the page, a Stephanie Burt, humans in general, perhaps me. 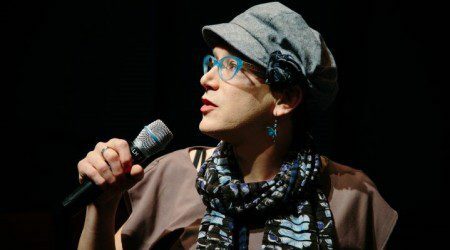 Burt’s riddles are a clever solution to the problem of how to communicate specific personal experience in a way that maintains a modicum of the universal, a problem she has explored in her criticism. She has written about how poetry often incorporates the aphorism as a means to solder together the general and the particular. Morsels of aphorism or quasi-aphorism surface from time to time in Advice from the Lights: “When everything is artificial, everything / is equally sincere”; or “be / a child, or be like a child. You will want for nothing, and will never be heard.” For the most part, though, Burt is – as she writes of the poet Andrew Maxwell – “stuck in [her] own uniqueness.” Riddle-creatures or not, Advice from the Lights is almost maddeningly personal. There is a whole sequence about “Stephanie,” the girl Burt might have been, if she hadn’t grown up as a boy. Another sequence moves year by year through Burt’s 1980’s childhood, detailing ephemera with an attention usually found only in those nostalgic documentaries about The Year that Was on TV. 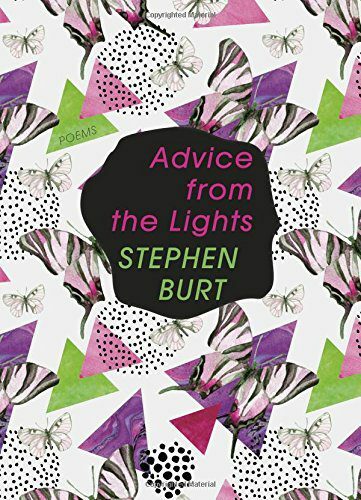 Although formally very different, Advice from the Lights takes license from the work of the Gurlesque poets, whose defiant embrace of everything modern poetry has been wont to disown – the personal, the sentimental, the superficial, the commercial, the girlish, the self – enables Burt’s detailed catalogue of passing stuff and the feelings associated with it. Burt is “stuck in her own uniqueness” partly because this is a book about growing up a reluctant boy who later decides to become a woman, an experience which is not universal. As English-language lyric has become more diverse, we’ve begun to accept that very few experiences are universal – so that this book’s aesthetic conundrum, of expressing one’s particularity yet writing somehow for others, is itself not unique. Burt seems to insist, from the book’s first epigraph, that all of us can comprehend the trans experience because we have all felt “off” – we have all felt that we don’t belong where we are; we have all felt out of place in our families or communities. “Everyone feels like that.” This strikes me as excessively generous. Feeling “different” because one is overly nerdy or clumsy or likes the wrong music must be a universe away from inhabiting the wrong gender. But extreme generosity is characteristic of Burt, who is best known for her generous criticism, reading widely in poetry, reading poems closely and with real vulnerability, frequently entertaining the possibility that she’s wrong. to hear our distinctive and natural sound. Although this is an accomplished, impressive, and perfectly enjoyable book, part of me wished that Burt had been less generous in it, that she might have given us less of ourselves and more of her self, that the page might be darker, crosshatched with her distinctive obscurity. Is there another book somewhere, which has been filleted out of this one? Are there riddles in Burt’s experience without answers, an experience which is hers and not equivalent to mine? All the riddles in Advice from the Lights have been answered for us; it’s the other, less surefooted, book I’d like to read next. AILBHE DARCY is an Irish poet living in Wales. With S.J. Fowler, she is the co-author of Subcritical Tests. Her first collection of poetry was Imaginary Menagerie and her second is Insistence, forthcoming from Bloodaxe Books this year.